Alpha Lipoic Sustain is in a special Sustain bilayer Quick Release/Sustained Release format to maximize and sustain blood levels and to minimize gastric irritation and blood sugar fluctuations. 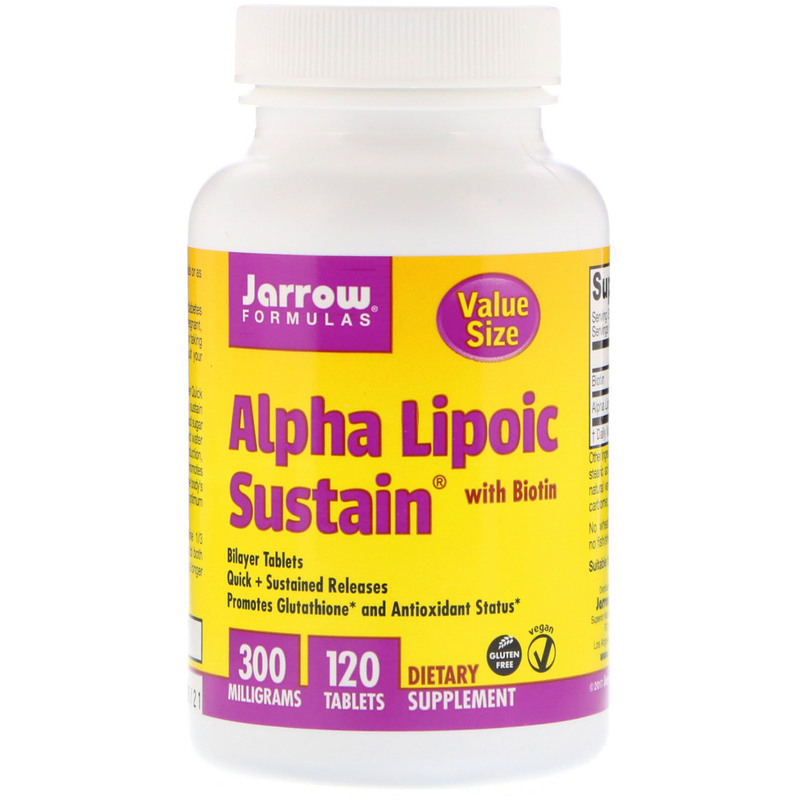 Alpha Lipoic Acid is a unique lipid and water soluble antioxidant that is a cofactor in energy production, helping to regulate glucose metabolism. ALA also promotes the synthesis of glutathione, a critical component of the body's endogenous antioxidant network. 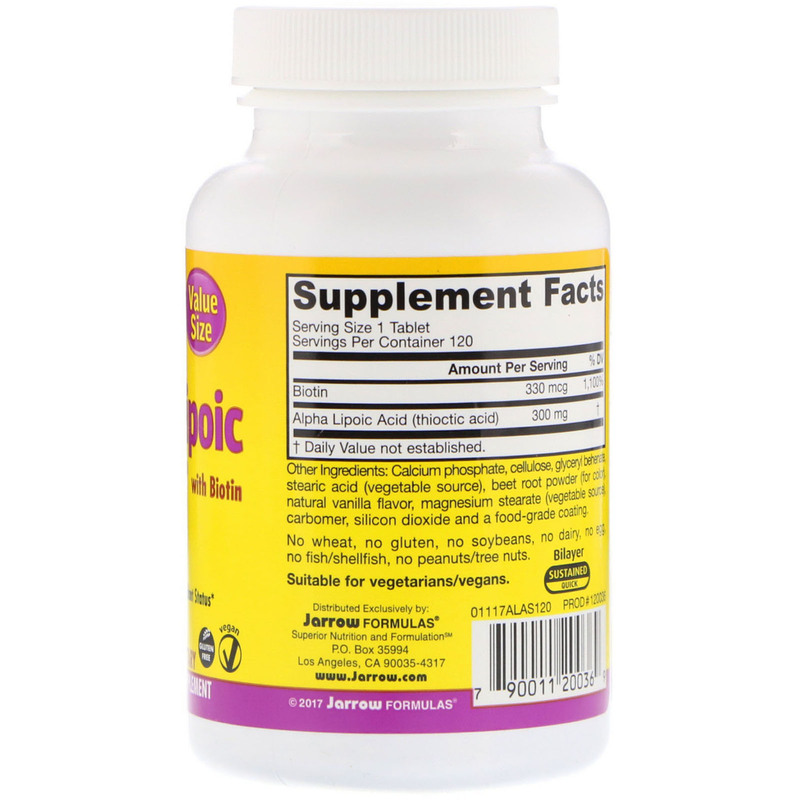 Biotin is added for optimum ALA activity. Calcium phosphate, cellulose, glyceryl behenate, stearic acid (vegetable source), beet root powder (for color), natural vanilla flavor, magnesium stearate (vegetable source), carbomer, silicone dioxide and a food-grade coating.